Are you in the photo or do you know somone that is ? 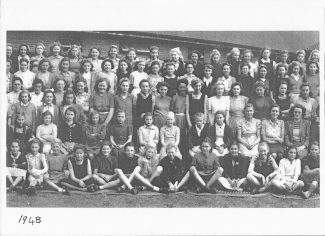 Please also see, “St.Chads Girls School (1948), posted 18/05/2014. I agree with the identification of Sheila Harris. There are a lot of faces I remember but only a few names. 3rd Row 7th Rose ?. 10th Avril Hearn. 11th Shirley Metson. 12th Phyllis Symonds. 14th Rose King. Further to my correction earlier this morning Iris should read Eileen, remember I’m going back over 65 years so one or two names might a bit wrong Ah!Ah! 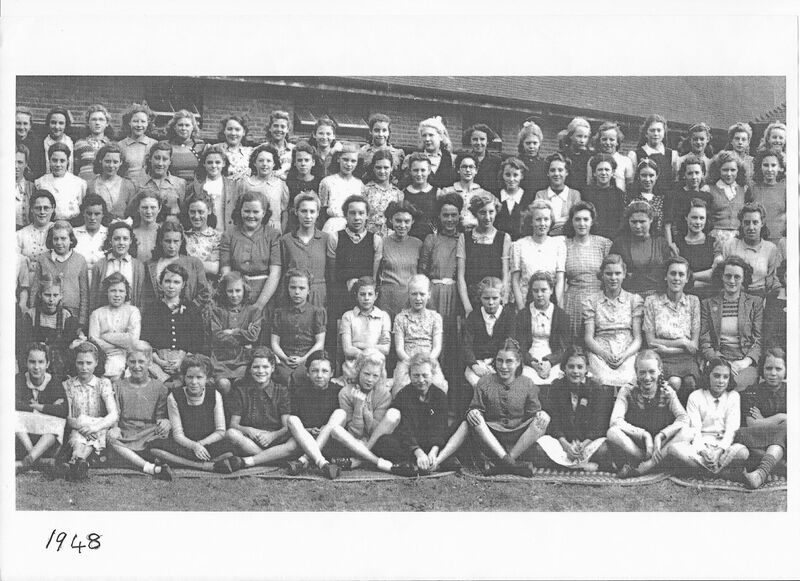 Could it be the person standing left hand side, 4th row down, 2 in, be Sheila Harris (married Maurice Stubbs about 1958) ? ?